Medicine and Technology: Are People Getting Addicted to Facebook? Are People Getting Addicted to Facebook? 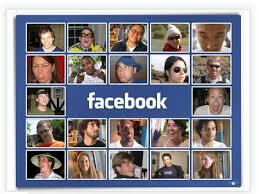 Are people getting addicted to Facebook? We recently heard that the older generation (specifically, women over the age of 55) are the fastest growing segment on Facebook. So how can you tell if you're addicted to Facebook? Check for these "five clues" that appeared on CNN. Will Facebook addiction get added to the DSM-V? What do you think? Are you getting addicted?